DrDee - Airsoft Sports New Zealand inc.
WW2 Airsoft event. Sunday 25 October 2015 Chattertons Road, McClean's Island, Christchurch. 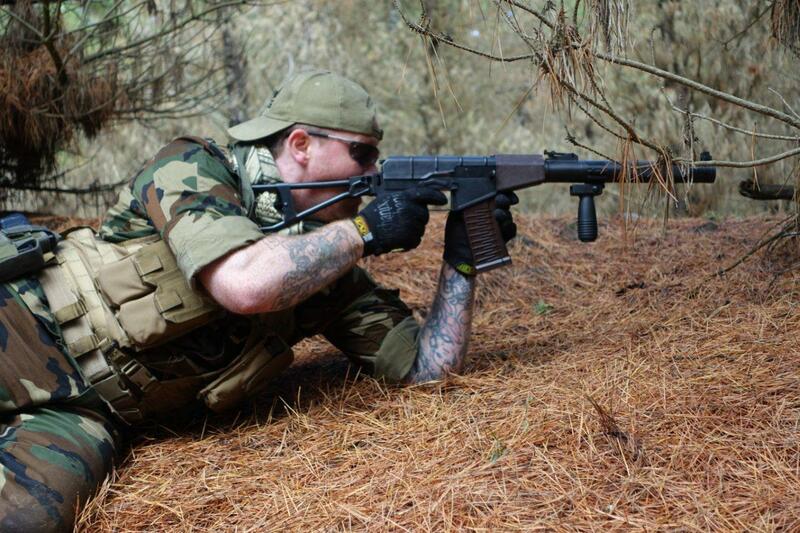 Join us on the Facebook page: NZ WW2 Airsoft Only $20 for the days gaming, can be paid on the day. Noel at MAG (www.mag.org.nz, fb: MAG military adventure group) has some spare uniforms/weapons available if you want to give this very cool era a go without any extra outlay. The field is pretty cool, big open area with a village, lots of forested areas with trails, trenches, pillboxes etc. I am going to say as far as WW2 airsoft goes this is going to be as authentic as we can get it. Going to be lots of cool uniforms, weapons and a few surprises. Is there AAR or feedback from this event somewhere? I want to know how it all panned out. Yea I don't want to book anything if the event is going to be a no-show. We really need a big positive push from the North Islander's to make this viable enough to attract us southies. You are spoilt for choice with clubs in Christchurch, good widespread community, games on Saturday and Sunday. At TAG we run 1.14j, which is about 350fps on .2 BB's and 10m for minimum engagement and use 'bang!' within 10m (2.32j/500fps/20m for singleshot snipers). We play on Sundays and you are very welcome to join in: www.tagairsoft.co.nz I am sure the other Chch clubs will chime in. CYMA Ak-74U / How reliable are G&G M4s ? I agree with you for every model AK except the 74U. Having had about 6 different CYMA AK's I will agree with everybody on the AK's being internally bullet proof with a decent battery (I always run 11-volt LiPo), although having worked on a CYMA AK74U they are sub-par compared to any of the other AK variants I have owned and would always recommend a Kalash 74U over a CYMA one. The only time I would recommend a Kalash over a CYMA. The problem you have sounds like a jam and they are easy to unjam once you have seen it done. One screw to get the handgrip off, two screws to drop the motor off and then either manually turn the pinion gear or flick the anti-reverse lever to let the piston return back and then you are away again in about 2 minutes. Easy to do in the field with just a phillips. Poor battery or half trigger pulls (hesitation on trigger) are the culprit every time. Other than selling me a gun that they didn't actually have in stock on 3 separate occasions and one guy in our club receiving a different model of the gun that he purchased (he didn't mind so didn't follow up) it has been OK service. WGC is my current shop of choice for speed, accuracy and service. I use molybdenum grease, its like the awesome version of lithium grease. It is rated for higher pressure than lithium. So it never gets reception and you have to ask Apple for permission to shoot someone with it? Don't buy chinese made camo uniform from eoutlet, you will rip your crotch open in the first day. great place for vests, gear and accessories. Get genuine camo gear from probably this forum by looking in the gear for sale or asking in the gear wanted when you decide what version of camo you want, end up costing the same if not cheaper and will outlast the chinese clone stuff! My opinion would be an OD vest, seems to work best in most environments. Makes me want to move back to NP! Where is the field? 1st in Team Game & 2nd in Team Arena from what I was told! Can I disclose the result? Or is there going to be an official announcement?